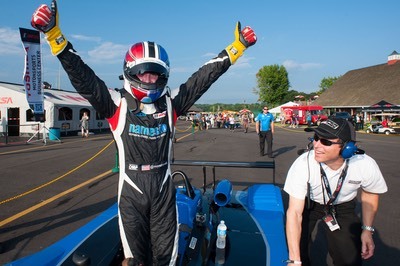 Bonilla loses an engine in Round 4, so why is he so happy? I just wanted to keep a positive spin on a less than wonderful ending to another great day of racing at Miller Motorsports Park with B-K Motorsports' IMSA Lites team. We had a great race in progress when I blew up the engine. Yes, as much as I would love to blame a part failure, it looks like this one is my fault. This will never, ever, happen again. Our Saturday morning race, the second race of the weekend, was a happy event for us. We went to bed last night still smelling of champagne from the podium celebration of Friday's race win. We had a great setup for our car. We had a plan for finding a way to beat the bullet car driven by Tonis Kasemets again. We showed up to pre-grid early. We even had time to eat a nice breakfast at Marian Champlain's amazing catering service at the track. Nothing could have happen today that could possibly put a damper on the good vibes in our team tent. At the green flag I had a great jump on Kasemets, too good in fact, that I was about to get a penalty for jumping the start. The only way to avoid the penalty was to breathe the throttle a bit and not make it look so blatant. I hated doing it, but I breathed. I knew I could find a way to win without jumping. Wouldn't you just guess, but almost a carbon copy of yesterday's race took place, with the 3rd place car drafting alongside the leader, both of them sailing past me into Turn 1. I was NOT happy about this, now following in 3rd place myself. I followed along learning where the new 2nd place driver was struggling to set up a smart pass. I found those places, closed in to make my move, and then.... click-click-click-click-click-click-click-click-click-BOOM!!! WHAP-WHAP-WHAP-WHAP-WHAP-WHAP-WHAP-WHAP-WHAP-WHAP-WHAP-WHAP-WHAP!!!!! "Uh, guys... I just blew up. I've blown up, I'm coming in." I felt terrible. What could I have done differently? I could swear I had treated that engine well all weekend, but somewhere, somehow, at some time, something happened and led to this. It's just not my style to abuse the car. I felt absolutely terrible. But, I nursed it back to the pits. Smoke was pouring out of the car as I came to a stop in the pit lane, getting the attention of those bored firemen just waiting for something exciting to happen (glad I could help guys), who promptly dumped a few tankfuls of halon gas into the engine compartment of my car. Happily, only the engine block was ruined, and the rest of the car spared. I hopped out of my car, walked to my crew, and just smiled at them. I told them, "We'll just have to move on. We'll be okay." They were so nice to me. I really appreciated them for that. On a much better note, my teammate Mishael Abbott rose from a back-of-the-pack starting position to 8th overall. It was great to see her put in a good drive. Also happy this weekend was a strong drive by one of my students named Jonathan Goring. 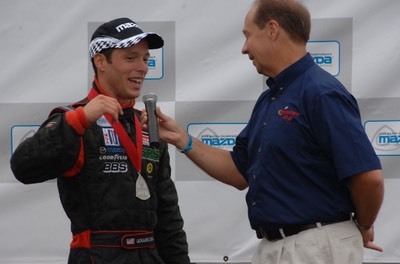 Driving a Star Mazda Series car owned by Dan Andersen, Goring put in his best race drive the season, moving from 2nd starting position to leading the race, then battling valiantly to a 3rd place finish, tie-ing his previous best finish at Houston. It's been great to see his growth this year, and great to work with my former team as a coach. Thanks again to all of you for your support. Thanks again to Thomas, Steve, Bob, Andrew, and the rest at B-K Motorsports. Thanks to my sponsors and investors for giving me what I need to pull this off. And thanks to my mentors, who have taught me, and continue to teach me, to be a good coach, a good driver, and a good friend. Thank you. 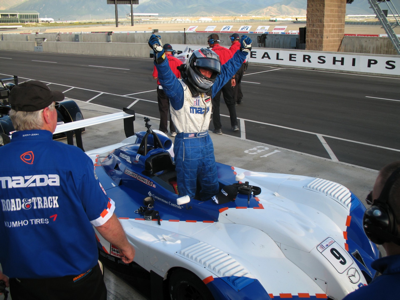 The fun keeps coming at Tooele, Utah's Miller Motorsports Park! 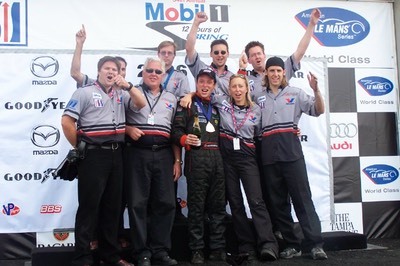 The B-K Motorsports team did it again, giving me a great car to challenge for another win in the IMSA Lites series. There are a few tales to tell. We qualified early this morning, at about 8:45 am. It was a great battle between myself and Tonis Kasemets for the pole. He had it, then I had it, then he had it, then I had it, back and forth, each of us resetting the fastest time. I thought we would have him covered, but his team did a good job and he was driving like a man on a mission. In the end, he did his fastest lap on the last lap of the session, and I had to bail out on the final lap when I caught traffic. Oh well, starting P2 is just fine. In the race, things were shaping up for Kasemets and I to get a gap. The start turned out nothing like I expected though! At the green, I had a good jump, matching the polesitter's speed. But, just like in NASCAR, sometimes the guy next to you gets a little "help" from a drafting partner. 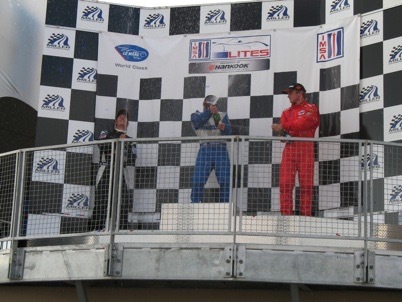 The 3rd place car was "pushing" Kasemets into the lead, and me from 2nd to 3rd. Geesh! So, into turn one we slid, and slid, and slid, somehow the three of us emerged without any Miller Park dust in our sidepods. The three of us then arrived at Turn 5. There was an opening for me to retake 2nd and chase Kasemets, but I hesitated, thinking big picture. Looking back, I would have taken the spot, but in that instant, I tried to make the best judgement call I could. Staying in 3rd meant I had to take more time to make a pass elsewhere, time that allowed Kasemets to pull far into the lead. When I finally had 2nd, Kasemets was some six seconds ahead. It had become an exercise in consistent laps in case he messed up. Meanwhile, my teammate Mishael Abbott suffered a terminal gearbox failure. She just can't get a good break! I felt terrible for her, and hope that things go much better tomorrow in the second race. Fortunately for us, another car messed up and brought out the full-course yellow. Behind the pace car, we all bunched up for a single lap dash for cash. I kept super close to Kasemets' gearbox, executing the restart nearly perfect. Geesh, did he have some motor!! It was all I could do in the draft just to fill his mirrors. Fortunately, filling his mirrors was exactly what I needed to do. In Turn 1 he broke too late, slid super wide, and I slipped right up the inside into the lead! I just had to make it back to the finish line. It was a textbook case of "Look ahead!" "Forget the mirrors!" "Look ahead!!!" So, look ahead I did, and turned a clean enough lap that Kasemets could not pass. Checkered flag! Win Number Three! We're not done, though. I must get some rest and arrive at the track early tomorrow morning for our next race. The green flag drops at 8:15 am MOUNTAIN time (yes, you read that right), which is 10:15 am EASTERN time. You can still see the live timing online using the links at www.imsaracing.net. Thanks again to my fantastic crew at B-K Motorsports. Things are looking up for us. Thanks again to my investors. I hope I am doing a good job for you guys. Thanks for helping me get here. In the English dictionary, there is a word called "fun" that we all know well enough. Next to that word, there is a picture of a race car. Today, the dictionary people used my car as their photo. Today was a LOT of fun, coming in the form of IMSA Lites series official practice for two thirty minute sessions, at the Miller Motorsports Park 4.5 mile circuit in Tooele, Utah. In the first practice session, my B-K Motorsports crew and I decided we'd do at least two pit stops to try a few changes with our wing and roll bars. I drove only a couple of laps at a time. In fact, I only posted one lap flying lap time early in the session to keep the stints short, protecting our ability to evaluate the car in such a short session. How fun it was to learn, to go faster, to figure out what the car wanted, yet only do an out and in lap, crossing the start/finish line only once per outing, thus giving no other teams a clue as to our progress (no completed laps, no times to show!). So, we appeared to be 3rd overall, some two seconds off the fastest time. Ah, but timing myself using a marker only known to me, I had beaten the fastest time by about a half second. What joy! What fun! Okay, okay, so its only practice. Did I mention how much fun it was? The second practice session finally came along. Thanks to the team's hard work in the first practice with quick pit stops, we had the luxury of running the whole thirty minutes without a pit stop. I was free to run all the laps I could, partly to see how the car would change over a long run, and partly to see if I could keep a consistent pace. It was amazing to see how much dust the track had, and how much faster we would go after our cars cleaned the racing line in the first two laps. First flyer was 2:48.5 or so. Next lap? 2:47.0. Neat. Then 2:46.3. The times were dropping. Ah, but Tonis Kasamets had posted a 2:46.0. In a few laps, we were there. He then went 2:45.89. On my last lap I went 2:45.54. Neat. My teammate Mishael Abbott had a good first session, turning her fastest lap of the week, but an unfortunate problem in the second practice ended her session after only a couple of laps. She'll be strong in qualifying. It was only practice, but with as much fun as we had today developing our car, learning the track, and getting the job done, I think we'll be relaxed enough we can keep going quicker, while making few mistakes. It's been a great day. Thanks so much to my crew, Thomas Unger, Andrew Tucker, Steve Levinsohn, Bob Bach, and the rest of the crew for taking great care of us today. These guys are really working hard, not just to get the job done, but to get better at everything they do. It's a treat working with motivated guys like these. Below are the times from today's second session, or you can click this link (http://www.imsaracing.net/2007/events/salt%20lake/Lites_P2.pdf). Tomorrow we'll qualify at 8:45 am MOUNTAIN time, or 10:45 am EASTERN. Our first race is tomorrow night at 6:30 pm MOUNTAIN, or 8:30 pm EASTERN. You can catch the live timing and scoring feed using the links at www.imsaracing.net. It has been two very long months since the IMSA Lites Series began at Sebring International Raceway. We had a great experience, notching two wins in two tries. The B-K Motorsports team did an amazing job for me then. Once again, they are turning the wrenches and pumping the tires for some great laps today at our next track, Miller Motorsports Park in Tooele, Utah (that's near Salt Lake City for those who haven't Googled it yet). 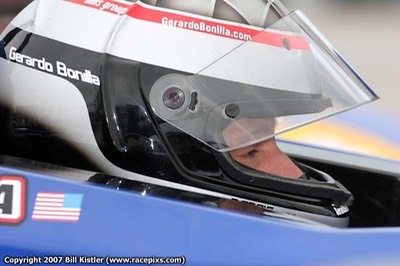 In the past two months I stayed very busy helping a few drivers in this year's Skip Barber National Championship learn a few things about growing into a professional race driver. 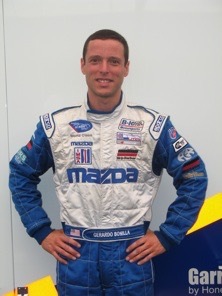 I was also busy coaching for Andersen Racing's Star Mazda team, and his Hankook F2000 team. In all, I am very fortunate to be coaching so many great drivers and working with so many great people at Skip Barber and Andersen Racing. 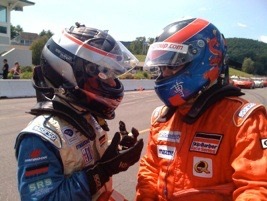 I was also hired to coach our friend Michael Auriemma at the Nurburgring track in Germany. That was an amazing experience. Back here in Utah today, we completed three test sessions at this very long (by American standards) 4.5 mile race track. With 23 turns, there are plenty of opportunities for misjudged racing lines, bad shifting points, and lurid slides, but that also gave us a great opportunity to learn. I would love to tell you how we fared against the other drivers, but alas, as an unofficial test day, no times were taken. My teammate Mishael Abbott also got her sessions in, and is doing a great job. 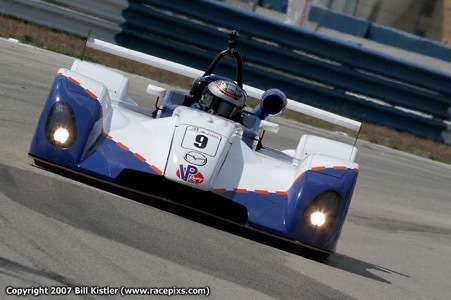 We missed John Pew, who had thought of racing with us this weekend, instead took the opportunity of a lifetime to drive a Daytona Prototype with Michael Shank Racing beginning this weekend at Laguna Seca. We wish him well. More news to come tomorrow on our first two official practices. If you plan to watch the internet based live timing and scoring for our races, be sure to visit www.imsaracing.net for the link this Friday at 8:30 pm EASTERN time for Race 1, and then Saturday at 10:15 am EASTERN time for Race 2. Thanks again to everyone who has helped me live this dream. Thanks to Thomas Unger, Steve Levinsohn, Mike Wright, and Bob Bach, and the rest of B-K Motorsports for putting things together for me at the track. Your work is greatly appreciated.